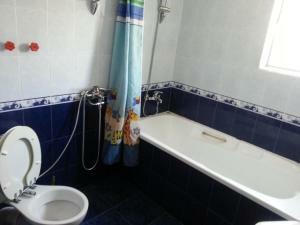 Click on the photo and see all the photos of Apartment Bistritsa 2. Set in Sandanski, 600 metres from Episcopal Basilica Sandanski, Apartment Bistritsa 2 offers a living room with a flat-screen TV. The air-conditioned accommodation is 2.4 km from Statue of Spartacus. Opening onto a terrace, the apartment consists of 2 bedrooms. Bus Station Sandanski is 1.7 km from the apartment.